In 2012, a government mandate threatened Wheaton College, a Christian school and one of the top liberal arts colleges in the country, with crippling fines unless it violated its religious beliefs. Thanks to Becket, after a five-year court battle, in February 2018 a federal court ruled that the government was violating federal civil rights law if it forced Wheaton to provide services like the week-after pill in its healthcare plan against its religious beliefs. The order protects Wheaton from any current or future version of the mandate. Wheaton College v. Azar. The Becket Fund for Religious Liberty (n.d.). Retrieved from https://www.becketlaw.org/case/wheaton-college-v-price/. Wheaton College v. Azar. (Apr. 04, 2019). https://www.becketlaw.org/case/wheaton-college-v-price/. "Wheaton College v. Azar." The Becket Fund for Religious Liberty. Accessed [Apr. 04, 2019]. https://www.becketlaw.org/case/wheaton-college-v-price/. 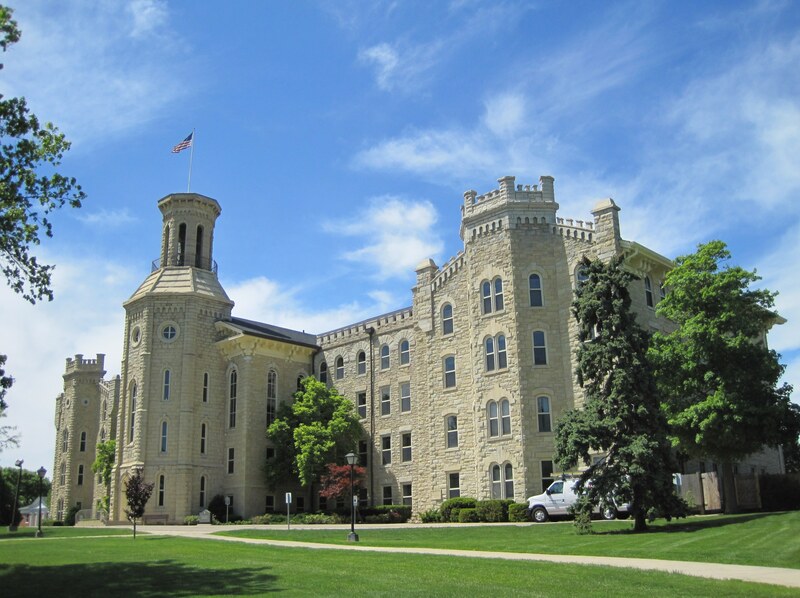 Wheaton College’s mission expresses its commitment to do all things “For Christ and His Kingdom.” Founded in 1860 by the prominent abolitionist Jonathan Blanchard, Wheaton’s history is marked by the stories of students and alumni whose faith drives them to affect the church and society for good. In 2010, the federal government issued a mandate, regulated by the Department of Health and Human Services (HHS), that forced Wheaton College to include services like the week-after pill in its insurance plans, which violated its deeply held beliefs. Despite Wheaton’s expressed religious objections, the government refused to grant the College a religious exemption. In July 2012, Wheaton College sued the government to protect its right to operate according to its religious mission without the threat of government fines. Wheaton College’s first lawsuit was delayed for over a year by the government’s promise of a religious accommodation—but the government still insisted that Wheaton College was not a “religious employer” and was ineligible for an exemption. In the meantime, though, Wheaton’s lawsuit forced the federal government to rewrite its one-year “safe harbor” condition to include Wheaton, giving the College another year to comply with the mandate or face crippling fines. As a result of the change, a federal judge for the U.S. District Court for the District of Columbia dismissed Wheaton College’s lawsuit as premature. In September 2012, the U.S. Court of Appeals for the D.C. Circuit granted a motion for expedited appeal, which later handed an intermediate victory to the religious colleges by ordering HHS to act quickly to fix the existing HHS mandate. The government’s proposed “accommodation” turned out not to be much of a fix, and it still required Wheaton to choose between its belief in the sanctity of life or millions of dollars in government fines. So in December 2013, Becket refiled its lawsuit on behalf of Wheaton. In June 2014, the district court denied Wheaton’s request for relief. Wheaton appealed. In July 2014, while the case was on appeal, Wheaton received last minute protection from the Supreme Court against IRS fines. In July 2015, the Seventh Circuit Court of Appeals denied Wheaton College relief from the mandate. Finally, in May 2016, the Supreme Court decided the related case Zubik v. Burwell. The Supreme Court’s decision ordered the government to explore alternatives that would protect religious freedom. On October 6, 2017, the government issued a new rule with broader religious exemption, admitting that the mandate was illegal as applied to religious objectors, including Wheaton College. On February 22, 2018, Wheaton’s five-year legal battle finally came to an end when the district court ruled in Wheaton College’s favor, protecting the College from any current or future application of the mandate. Individual freedom: Government cannot force religious individuals or groups to violate their deeply held beliefs to further a government goal when there are other ways for the government to accomplish that goal. Religious communities: Faith-based organizations, including schools, have the right to operate according to their religious mission free of government interference. HHS mandate: For years, the federal government has refused or delayed relief from the HHS mandate to religious organizations. The 2018 victory for Wheaton is a critical step in securing robust religious liberty protections from the mandate for all religious non-profits.